Fairlawn Elementary Ma gnet School is a school designed to provide students with a high-quality academically focused educational environment within the St. Lucie County School System. The core business of Fairlawn Elementary Magnet School is to create challenging, engaging, and satisfying work for each student, every day. Students are our foremost concern. We believe each child can learn, but children learn differently. Therefore, varied experiences will be provided to teach, monitor, and evaluate student progress. 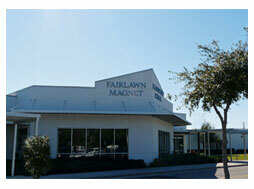 Centrally located in Fort Pierce, Fairlawn is St. Lucie County’s first academic elementary magnet school . Fairlawn has a progressive academic program of the highest quality and fosters an environment that prepares students to become productive citizens. Fairlawn provides an excellent school atmosphere recognizing students for academic excellence and outstanding conduct. Fairlawn is organized to provide a structured and stimulating learning environment. All personnel share the responsibility for student success. Students are challenged to achieve their full potential with support provided by trained personnel utilizing professional observations, assessments and engaging lessons. Lessons are designed to encourage students to use knowledge to solve problems rather than passively absorb information. Classroom activities prepare students for success in an information-based society. Regular homework is a requirement to ensure adequate practice and development of teacher-taught skills. Fairlawn faculty and staff are committed to creating a welcoming, friendly, family-centered environment. This partnership connects the school with the family and community through ongoing needs-based workshops and other community outreach programs. Community resources are tapped to gain support for the success of each student. Varied activities and celebrations are continuous to encourage parent/family involvement.